Business analysis underpins any automated system development, and any meaningful business change. Business analysis means uncovering the real business problem, and then crafting the best possible solution for it. Business analysis means firstly bringing the stakeholders to a common — and correct — understanding of the value that any new solution will bring to the organisation. Business analysis means investigating the business problem, discovering the essence — the real problem — and then looking at the options for an appropriate solution. In short, the task of the business analyst is to uncover the real business, and communicate it in such a way that all stakeholders come to a consensus on the best way to improve that business. Business analysis is a combination of work study, systemic thinking, innovating, communicating, persuading and several other analytical skills. This course gives you the process and the tools for effective and thorough business analysis. This course is a natural companion to Mastering the Requirements Process, where we teach the art of requirements writing. The models and understanding produced by Mastering Business Analysis are the optimal input, and foundation for, your requirements process. 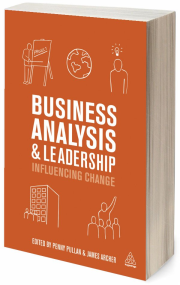 You receive a free copy of the book Business Analysis and Leadership: Influencing Change by Penny Pullan, James Archer et al. Volere was introduced in 1995. Since then, the Volere approach to requirements has been used by thousands of projects. These range from the conventional commercial domains such as banking, insurance, and so on, to more exotic areas such as air traffic control, aviation, automotive engineering, real-time control of appliances, telephony, and many more. The techniques were originally developed by James Robertson and Suzanne Robertson. Since their introduction, they have evolved as a result of research and application. James and Suzanne Robertson have continually introduced improvements as their clients have continued to push the requirements envelope. Today, Volere is a trademarked brand owned by the Atlantic Systems Guild. There is a network of consultants, instructors and agents around the world that are available and qualified to help you get better value for your investment in requirements. James Archer is an associate of the Atlantic Systems Guild. His wide ranging experience, admirable instructing skills and his ability to connect theory to practical examples make him one of the select people qualified to teach the Volere technologies. James’s contribution to Volere is significant. James is a Master of Innovation having graduated with a distinction from the Innovation, Creativity and Leadership Masters from City University in London, which has led to significant participation in the Volere curriculum. Moreover, James is one of the most approachable and knowledgeable people when it comes to discussing your requirements, business analysis and business change needs. Courses are delivered by Atlantic Systems Guild, an IIBA Endorsed Education Provider (EEP), and IIBA trademarks are used under license and in accordance with IIBA’s Corporate Identity Standards and Trademark Policy. Members of the IIBA Dutch Chapter are eligible for 10 percent discount. James Archer is a business analyst, consultant, teacher, writer and innovator. James is co-editor and contributing author of Business Analysis and Leadership (Kogan Page, 2014). He identifies the key to great business analysis as an inclusive leadership style, thinking innovatively, working collaboratively, acting strategically and helping people discover their real requirements. 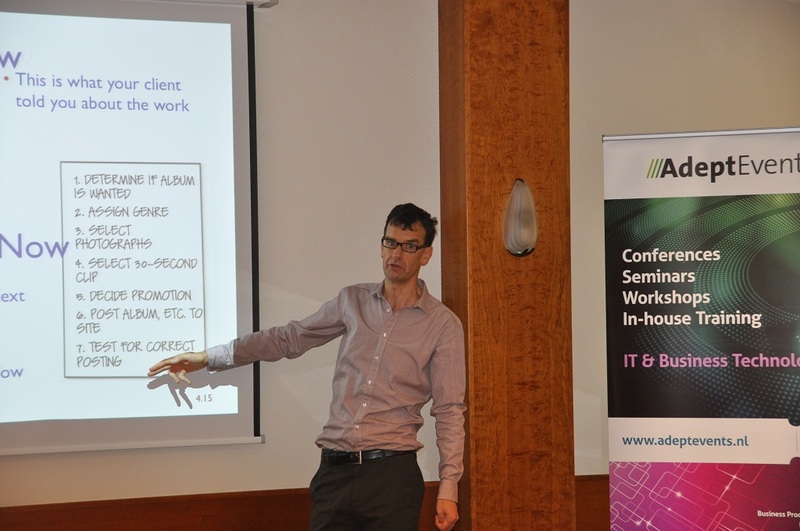 The seminars and workshops that we offer as In-house will take place right at your office. Well in advance we will discuss the room requirements, especially in the case of workshops. If your organisation has widely dispersed offices we can also decide to run the workshop in a venue of your choice that is centrally located.